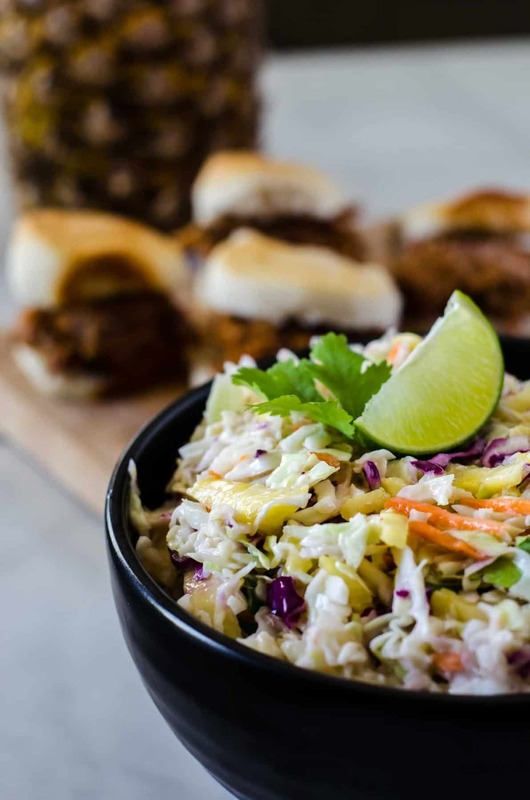 Bring the best dressed slaw to your next BBQ! 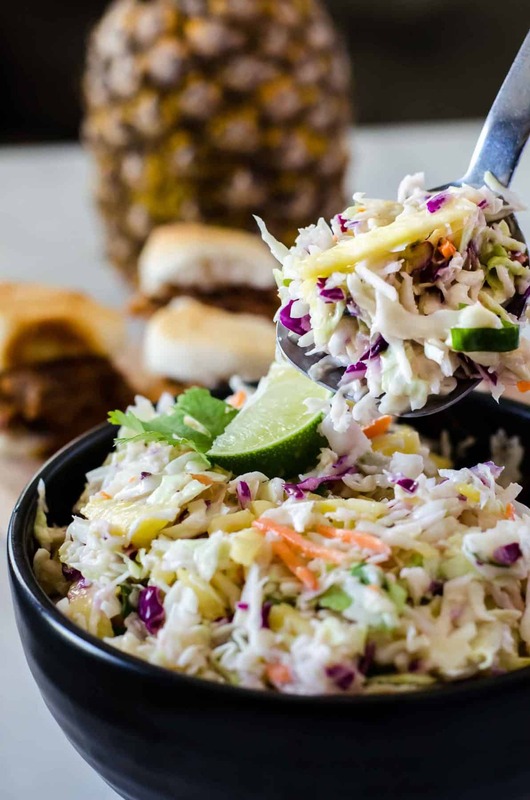 This fast & easy Fresh Pineapple Coleslaw adds a little tropical flair to the otherwise ordinary side, making it a great topping for everything from sliders to hot dogs! Coleslaw is one of those things I usually forget about unless (1) I’m in a BBQ joint (which happens pretty rarely in spite of living in the South) or (2) it’s just barely summer and, even though I hate the heat, I love all the food that comes with the season. Firing up the grill to roast some corn and char some chicken and hot dogs while sipping on a cold drink is my idea of a good time – as long as it’s followed up by some serious AC time or a dip in a pool. Color me spoiled, but I’d rather sweat in a climate-controlled environment, thank you. I have always loved coleslaw, going all the way back to lunch dates with Nana at Long John Silver’s. We had to drive a good 30 minutes to get there, but I can’t remember a time it wasn’t worth it. I was all about the slaw, hush puppies, and their battered chicken – and those little crispy ends of batter? Nana would ask for a container full of them and we’d crunch away like kids with popcorn at a movie theater. This slaw is a bit different from the stuff I remember. Mainly, it’s much healthier for you, since instead of mayo, it’s mixed with Greek yogurt and only a touch of sugar. Oh, and yeah, the pineapple. That’s not in your ordinary recipe, either. It starts the same as traditional slaw – in the case of this version, I cheated and used the pre-shredded bag of cabbage and carrots. If you like to chop and hack, by all means do it the old-fashioned way. I don’t think anyone will mind if you take the easy way like I did. Toss in your fresh pineapple, green onion, and cilantro. I was generous with my pineapple, to the point that you could have called this is a tropical salad, but you know – do you. Then make the magic happen with your lime-loaded, apple cider vinegar-laced yogurt dressing. Voila! 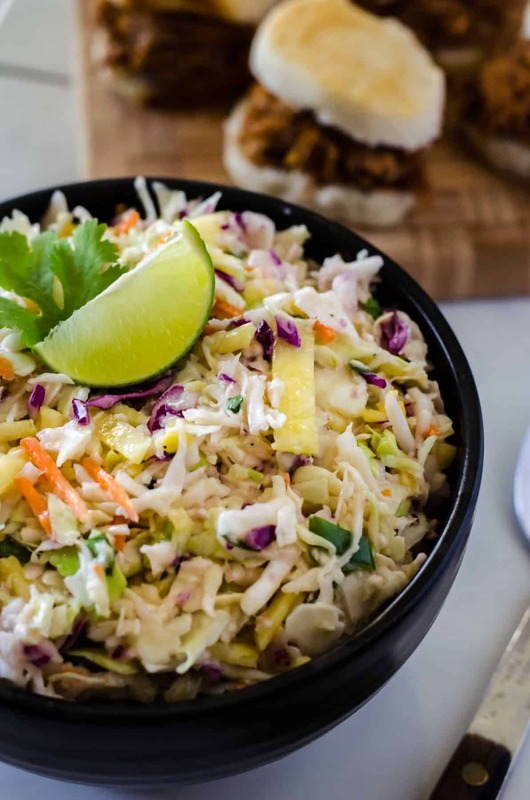 Summer slaw you’ll want to put on everything all season. How do you make your own coleslaw? 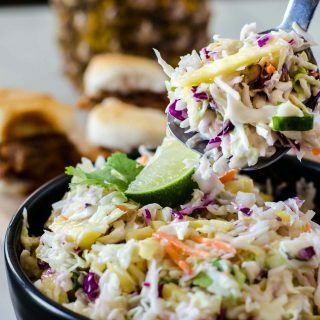 Many recipes call for mayonnaise and sour cream, but this fresh pineapple coleslaw is lightened up by using Greek yogurt and only a tiny bit of sugar. Combine yogurt, pineapple juice, brown sugar, lime juice, vinegar, and salt & pepper in a small bowl, whisking vigorously until completely combined. 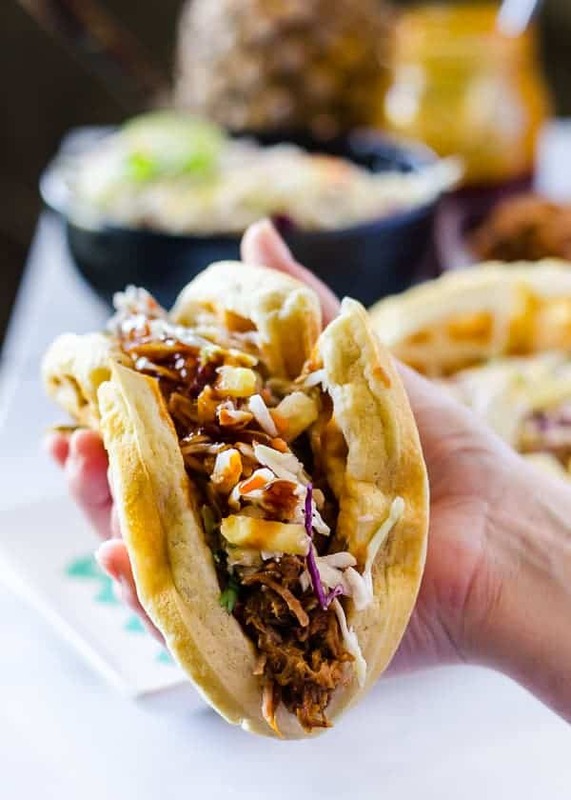 In a large bowl, combine coleslaw mix, pineapple, cilantro, and green onion. Pour yogurt base over vegetables and gently toss to coat. Cover and refrigerate at least one hour before serving. 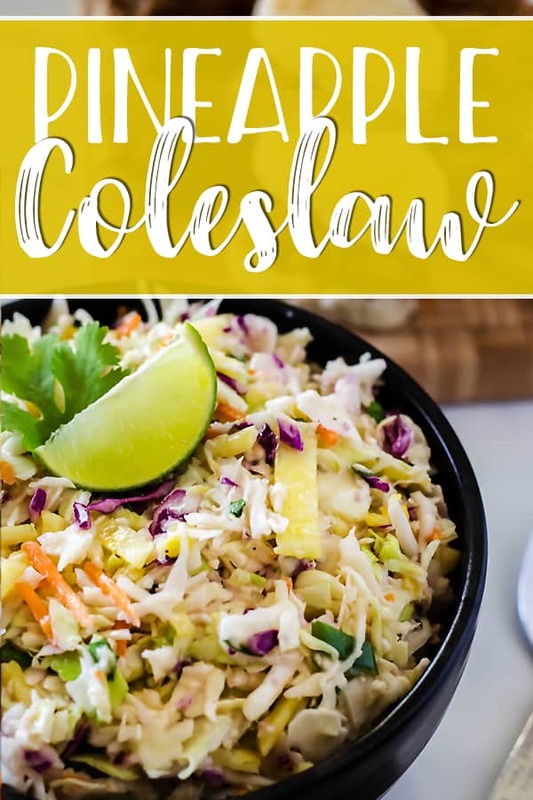 PIN THIS VERSATILE FRESH PINEAPPLE COLESLAW RECIPE FOR LATER! What’s good to eat with coleslaw? Just about everything! 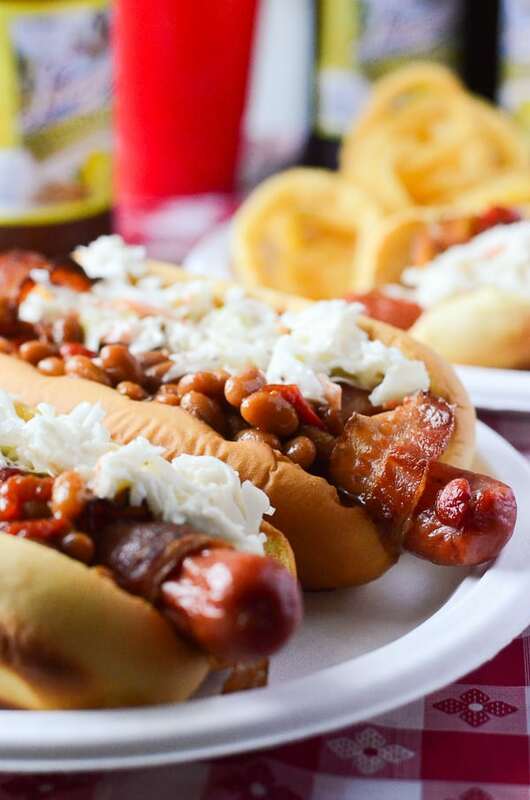 Bacon Wrapped Summer BBQ Hot Dogs! 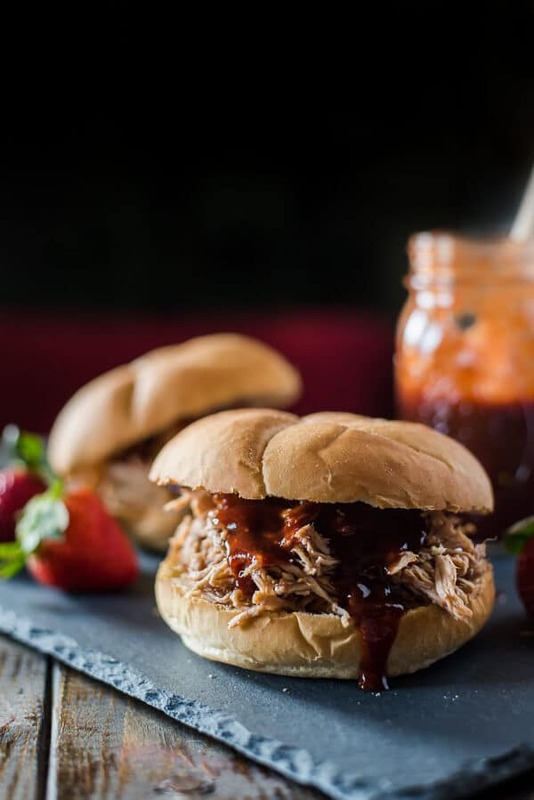 Spicy Strawberry BBQ Shredded Chicken! 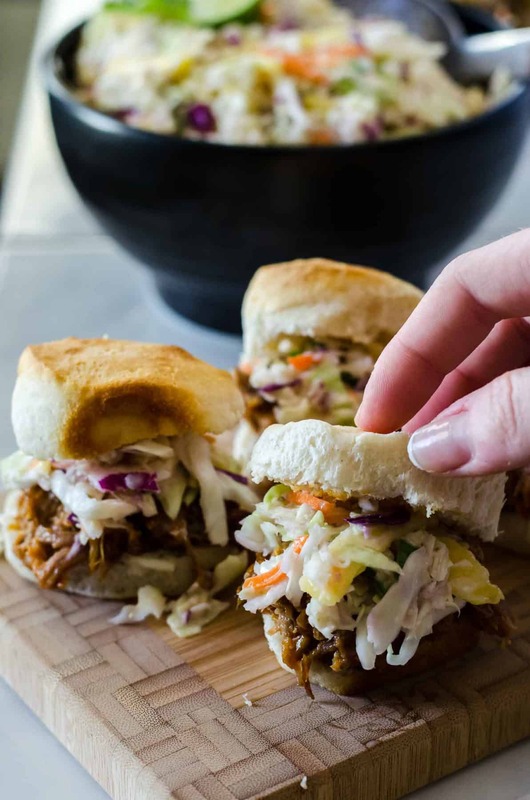 I’m with you and buy the prepackaged coleslaw for the convenience. I never thought about adding pineapple to it. Thanks for the different suggestion. I definitely need to make this next time my brother smokes some pork! Pineapple Slaw! Perfect for family meals to get the kids on board with cabbage! 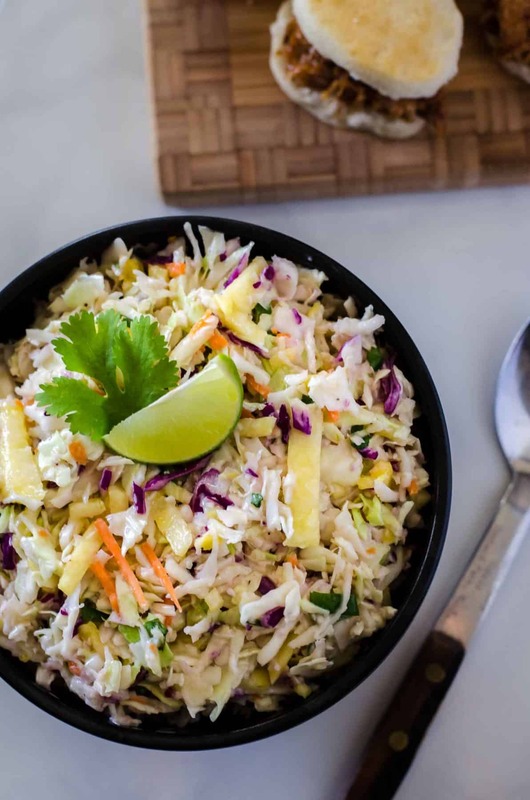 I tried different versions of pineapple slaw from Pinterest, your’s is the best, I think the cilantro and green onions in yours separates it from other recipes and I like that you mix all the wet ingredients separately to allow you to taste and adjust the flavor. Your recipe is the ‘keeper.’ Thank you for sharing.